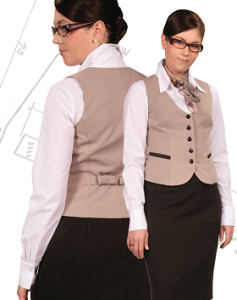 Perfectly matched vest for koszulowej blouses and skirts. mounted on the castle premises. The range of colors of fabrics is large, the interested customers we send samples of fabrics together with a pattern skirt for reviewing the quality of our company. Shipping is free. 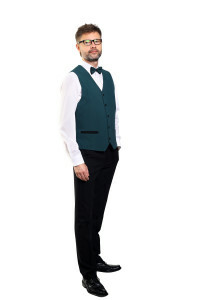 Vest liner for silhouettes with zaszewkami front, 2 pockets trimmed pliskami, rear panel with large buckles to adjust the height of the hoist. 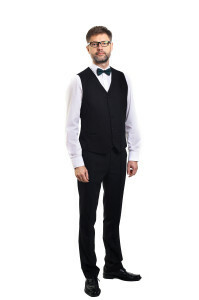 The trousers are slightly tapered down. 2 front pockets, one rear pocket.